A report acquired by the Wall Street Journal reveals that the Federal Trade Commission staff found, back in 2012, that Google had been skewing search results in such a way that they wanted to sue the search company. While FTC commissioners settled a multi-year anti-trust investigation into Google's manipulation of search results in 2013, with the search company voluntarily changing its policies, this new document reveals internal tensions within the Commission about the issue. The 160-page report—"which was supposed to remain private but was inadvertently disclosed in an open-records request"—explains that staff recommendations suggested the FTC brought a lawsuit challenging Google practices. Clearly, that didn't happen. As the Wall Street Journal points out, it's rare for the senior members of the FTC to ignore such staff recommendations. "But in this case, they were wrestling with competing recommendations, including a separate report from the agency's economic bureau that didn't favor legal action," writes the Journal. 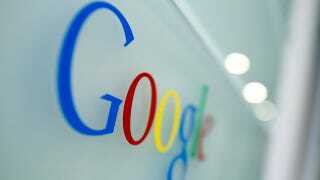 Instead, FTC officials decided that Google's voluntary changes would have a faster impact. The report explains that Google took content such as sales rankings, reviews and ratings from rival websites—including Yelp, TripAdvisor and Amazon.com—to boost the success of its own websites. When those sites understandably asked it to stop, Google's response was apparently to threaten removal from search results. "It is clear that Google's threat was intended to produce, and did produce, the desired effect," the report explains, "which was to coerce Yelp and TripAdvisor into backing down." Google later voluntarily agreed that websites could opt out of having content included in its its search products.